Ever since I resigned from my day job (Oh please give me a new one), I've been an staple online game patron. Whether it is to play bingo online for cash or just play hard kicking duels on online role playing games, I find them more accessible and more practical for somebody like me who just want to spend time having fun playing casual games. And with the growing popularity of browser based games, now gamers like me don't need to install anything on my machine and play directly online. And I have couple of online games that I'm pretty sure geeks like me will want to try. Monster Galaxy. From the people behind Gaia Online comes a turn-based role playing game where the player is given the task to capture Mogas as pets. Then the player can use the captured Mogas to battle other Moga to be able to capture more. Sounds familiar. Well, it is as clear as the sun that Monster galaxy is a clone of the very popular Anime/Game from Nintendo, Pokemon. But since Pokemon lacks branding on Facebook, Gaia grabs the chance to create a new one for the Facebook players. Of course Monster Galaxy has a different system all in all compared to Pokemon and they did pretty well on designing the game and it is fun to play. Pokemon maybe a global phenomenon but Monster Galaxy absolutely rules the genre inside Facebook possibly until Pokemon decides to enter FB. Doctor Who: Worlds in Time. Based on the popular long running British science fiction TV series about a Time Lord called The Doctor. 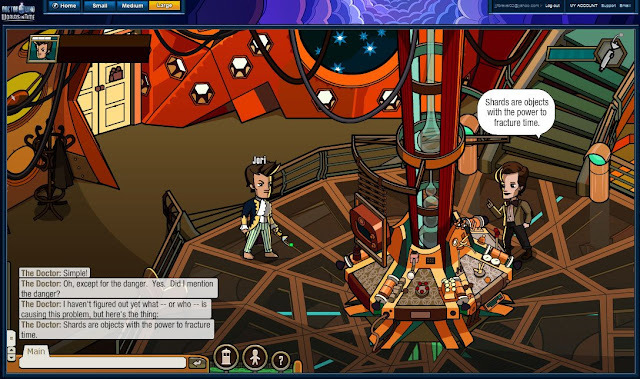 Basically, the game let's the player assume the role of The Doctor's companion and help him on his adventures through different time frames. But unlike the show, this time there will be a lot of companions and they will be represented by all the players of the online game. Currently on a beta stage but the game is already receiving good feedback for the well designed mini games and flexible customization options. If you are a Doctor Who fan, this game is absolutely for you. CSI Crime City. 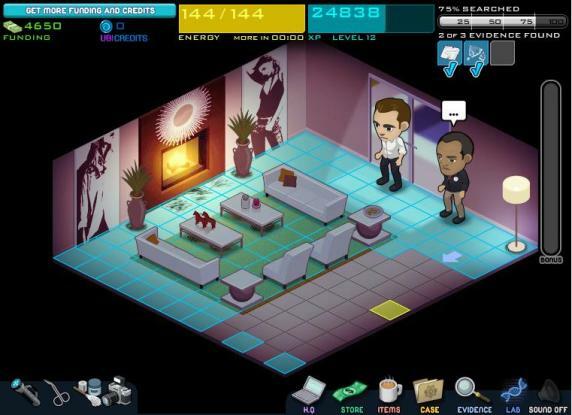 Again another online game based on a television series and another long running one, CSI Crime City is a mission/case based game where the avatar/player plays a new CSI on the Las Vegas Police Department. Among my list this is the game I seldom play because it doesn't really require you too much skill to play. You don't even need to have deductive skills. All you have to do is collect evidence and deliver them to the lab so the results will automatically rendered. Very child's play right? But I love the show that is why I'm playing it. And maybe it is the closest thing that I can be a CSI and I have the chance of a life time to work with the characters I love watching every week. 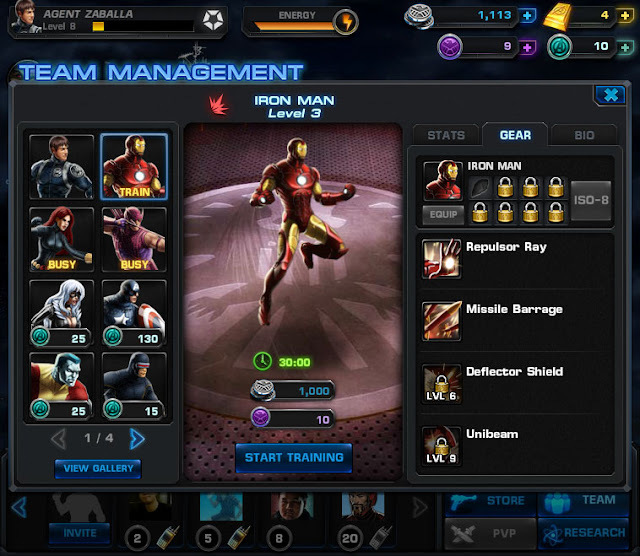 Marvel Avengers Alliance. I've mentioned this game before and the fact that i'm mentioning it again is that this is probably the best browser based online game I ever played because I'm still playing it. I'm that kind of guy who has a short attention span on some things I do and that includes video games. So if a game bores me, I quickly stop playing them. Just like some of the games I mentioned above. But for months now, I'm still hooked with Marvel Avengers Alliance. To refresh everybody, the game is a Turn Based Role playing game where the player assumes the role of a new recruit in S.H.I.E.L.D. You are now given the task to aid Nick Fury on missions to battle super villains from the Marvel Universe. But of course you can't beat them all by yourself. So you are given the privilege to recruit Super Heroes such as Captain America, Thor, Iron Man and a lot more as your allies. How cool is that? Maybe that is the best factor why this game instantly captures geek's attention. Because we are given the chance to fight side by side our favorite heroes. Currently on a beta state. You are lucky if you can access the game but most people are currently not allowed. But don't worry, Marvel already promised that the game is fast approaching on its public release and soon everybody from around the world can join the Alliance of heroes that will crush the evil villains of Marvel. There you have it. My current favorite online games. What about you? 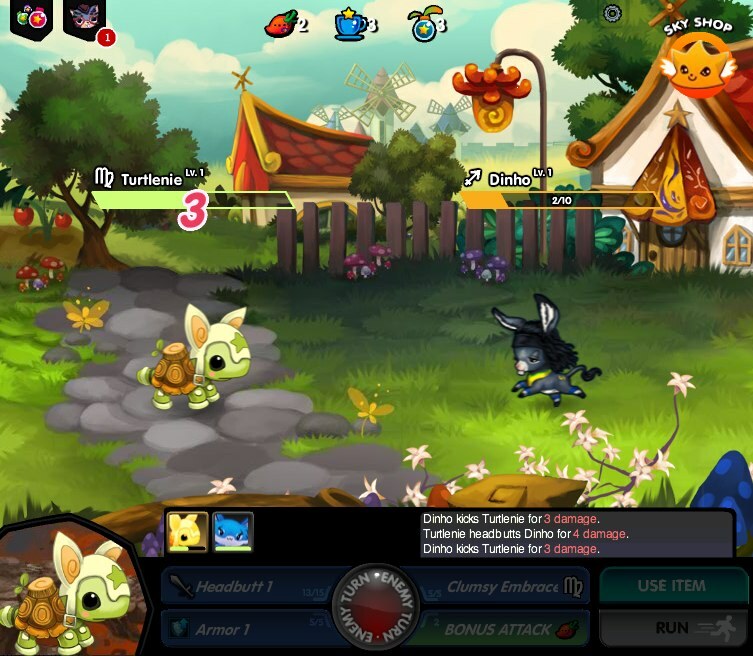 What are the online games you are currently playing? Care to share? Hit the comments and let's discuss. Maybe I'll try the Marvel Avengers Alliance.